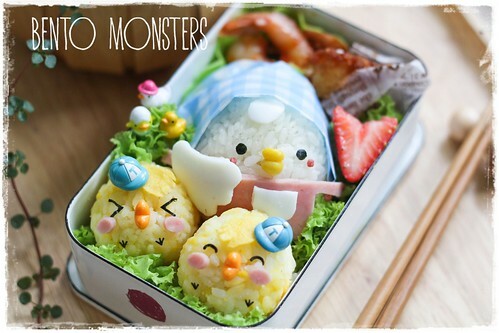 Sharing another bento I made for Mother's Day last week. 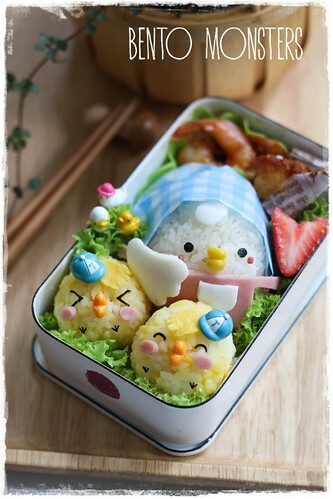 The hen was made from rice, corn (beak), nori, egg white, ham and bubu arare (cheeks). The chicks were coloured yellow using mashed egg yolk. I used heart shaped picks for their beaks. Other ingredients used on the cheeks were nori, egg sheet and ham. Bento was eaten with curry pork cutlet, prawns and lettuce. 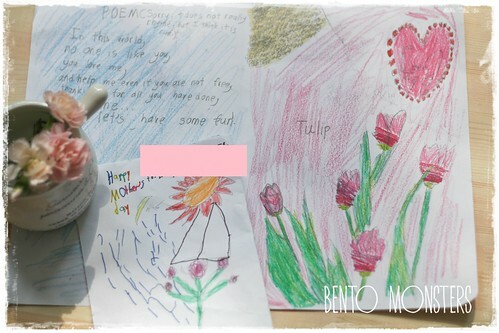 Lovely bento and very sweet cards from your boys! Hi, I love your white with blue trim bento box. Can you please tell me where can I order it Thanks. I bought it in Japan. You can try searching for it on taobao, I've seen it there before. The hen is so adorable, you are really talented! Those cards from your boys are beautiful! 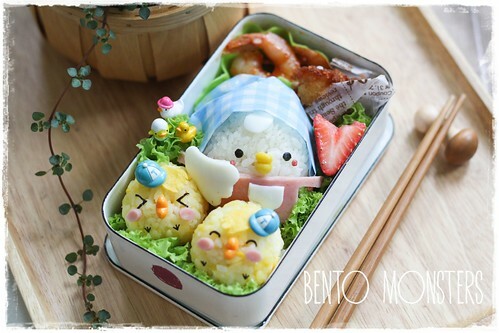 :) Love the bento and the chicks are adorable!